The BRAND-NEW Emoji! ALL of emoji icons are FANCY AND NEW goodies! 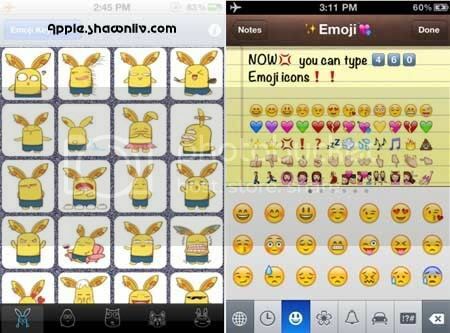 MORE THAN 100 amusing emoji icons can be found here! It’s a THEME PARK of icons. Naughty CAT, DOG, RABBIT, PEAR and CARROT-LIKE HARE will welcome you. And bring you gleeful messages. You can add them to your SMS, emails, notes, websites and ALMOST ANYWHERE you can type text.